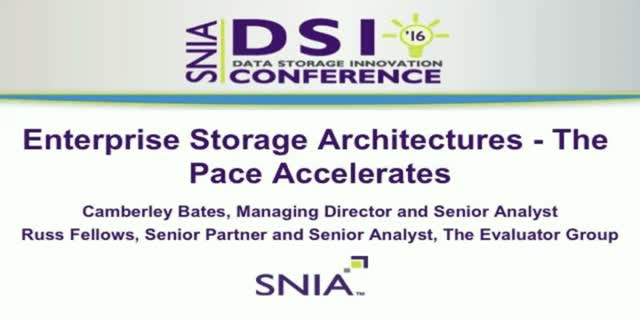 Since the 90’s the storage architectures of SAN and NAS have been well understood and deployed with the focus on efficiency. With cloud-like applications, the massive scale of data and analytics, the introduction of solid state and HPC type applications hitting the data center, the architectures are changing, rapidly. It is a time of incredible change and opportunity for business and the IT staff that supports the change. Welcome to the new world of Enterprise Data Storage.